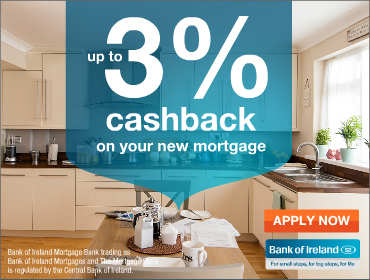 New regulations were announced in 2015 by the Irish Central Bank that set lending limits on mortgages in Ireland . These mortgage lending regulations first came into force in February 2015 and were amended slightly in January 2017. They will also had a small change in Jan 2018 . It is important to note that every individual mortgage will not be subject to these exact limits . Banks can lend more than the specified limits in some cases – but they have to stick to annual targets on the amount of mortgage loans that they allow to go over these limits. Switcher mortgages and housing loans for the restructuring of mortgages in arrears or pre-arrears are not in the scope of the Regulations. There are also limits on the size of loans compared to the income of the borrowers. The Loan to Income Ratio Or LTI on Owner occupier mortgages cannot be more than 3.5 times the borrowers gross income. Again – this limit is not strictly applied to every individual mortgage – but the banks must ensure annually that at least 80% of their home loans to first time buyers owner occupiers (by value) have this income restriction applied. For Second Time Buyers , banks are only able to exceed the loan to income ratio in 10% of case. BTL mortgages are now subject to a limit of 70% LTV. Each individual mortgage is not subject to this limit – but the banks must ensure that at least 90% of their BTL mortgages each year (by value) have this LTV limit of 70% applied. There are no income related limits for Buy to Let mortgages. First Time Buyers might be interested in reading about the new Help to Buy Scheme that is now up and running and can provide up to 5% of the deposit on a new build home.